Safe Teen Driving Blog - Page 10 of 67 - Safe Teen Driving Blog - Providing a solid base for teen drivers by improving behavior, attitude, skills and experience. Red decals used to identify teen probationary drivers in New Jersey have significantly reduced involvement in motor vehicle crashes according to a study conducted by the Children’s Hospital of Philadelphia (CHOP). 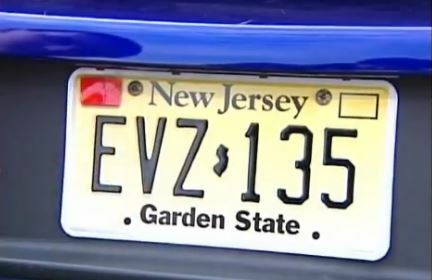 In 2010, New Jersey enacted “Kyleigh’s Law,” an act that required all 16 to 20 year old drivers who hold a learner’s permit or intermediate license to display a red decal on the front and back license plates of any vehicle they drive. In the first study on the law’s effect, CHOP compared teen crash statistics from the four years before the enactment of Kyleigh’s Law with crash statistics for the two years after. After eliminating factors such as gender, age, gas prices, month of the year, and crash trends among older drivers, CHOP determined that the presence of the red decals led to an overall reduction of 9.5 percent in the crash rate among teen drivers. Question: I’m still getting used to driving and I tend to be a slow driver compared to the rest of the traffic, is that dangerous? Answer: In a word, yes but it depends on how fast the rest of the traffic is going. Young drivers are often taught that they should go with the flow of traffic and that’s generally good advice unless the majority of the traffic is driving faster than the speed limit. If everyone else is speeding, that doesn’t mean you also have permission to speed. Speeding takes away the time you need to react to a dangerous situation ahead and it increases the crash forces. Just because “everyone else is doing it” doesn’t mean you should do it too. And remember, even if everyone else is doing it, generally, a police officer can only stop one car at a time for a speeding ticket and you could easily be the one that he chooses to stop. When driving slowly, other drivers who may not be paying full attention to the road ahead may expect you to be traveling at the normal speed and misjudge their following distance. Drivers stuck behind you can become frustrated leading them to take risky actions like tailgating or trying to pass you without enough clear space. Driver frustration can, in extreme cases, lead to road rage situations where another driver will try to harm you in some way as punishment for holding him/her back. You should never speed but you should always try to drive at the speed limit if possible. Never drive in the left lane unless you’re passing a slower vehicle or preparing to turn left. Keep the left lane open for others to pass you. If you’re driving on a country road with no passing lanes and traffic is building up behind you, pull off the road long enough for the faster traffic to pass. It’s the polite thing to do and it’ll keep you safer in the long run. I’ve been writing articles on teen crashes and teen driving safety for years and, quite frankly, it’s becoming more and more difficult to come up with something new and fresh when the teens keep killing themselves the same way month after month. Last week the issue hit close to home when one of my Grandson’s close friends was killed in a car crash. The details were sketchy because the crash is still being investigated but, according to the newspaper account, he applied his brakes when another vehicle entered the road, the passenger side wheels left the roadway and it appears he over-corrected. His vehicle flipped approximately four or five times and, because he wasn’t wearing a seat belt, he was ejected from the vehicle. He was taken to a nearby hospital where he was pronounced dead. His passengers who were wearing seat belts weren’t seriously injured and were cleared at the scene. weren’t wearing a seat belt. The tragic thing about this and all the other crashes that kill more than five teen drivers a day is that they were so easily preventable. Teens need to be taught how to safely recover if their vehicle leaves the side of the road. The natural instinct is to jerk the steering wheel back toward the roadway (over-correct) but, at high speeds, that can cause the vehicle to spin out or flip over. If young drivers find themselves in that position, they should be taught not to give into that natural instinct to jerk the wheel back toward the road. Instead, they should grip the wheel, watch where they’re going and slow the vehicle down. After slowing to a safe speed and checking that the roadway is clear, they can then turn the wheel to reenter the road. Most important of all, teens need to learn the importance of wearing a seat belt. 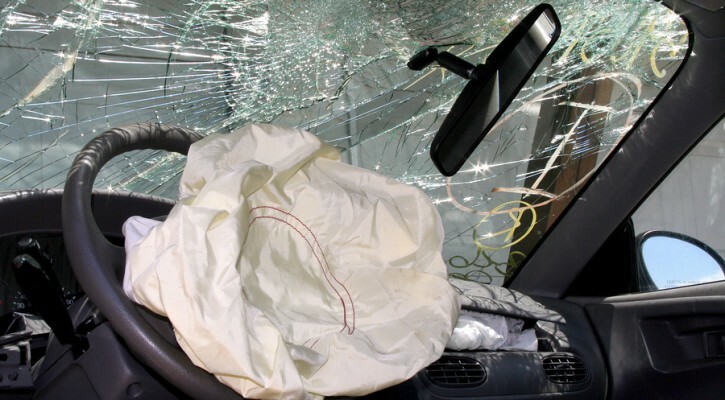 Among the 16 to 20 year old age group, 55 percent of the vehicle occupants who were killed in teen crashes in 2012 weren’t wearing a seat belt. No matter how bad the crash may be, you’re always better off and have a far greater chance of surviving a crash if you’re properly buckled into your seat belt and shoulder harness. Had he been wearing his seat belt, he may have walked away from the crash with his friends. If this young man’s grieving friends take anything else away from this crash, hopefully they will learn to always wear a seat belt. There’s no such thing as a car accident! Accidents are something we have no control over. Car crashes happen when one or more drivers make a bad choice that leads to tragic consequences. Even if you can’t avoid a crash, you can still make the right choices to survive it. Question: When should a permit driver drive on the interstate for the first time? Answer: This is a hard one to answer. Driving on the interstate should be a required part of every new driver’s training but when to attempt it will be different for each driver. The first thing to know is that, scary as they may seem, driving on interstates or limited access highways, is actually safer than driving on a country road. More fatal crashes occur on country roads than on interstates. However, interstates do require special skills. Interstates require that a driver drive at high speeds. Driving too slowly on the interstate can be dangerous. 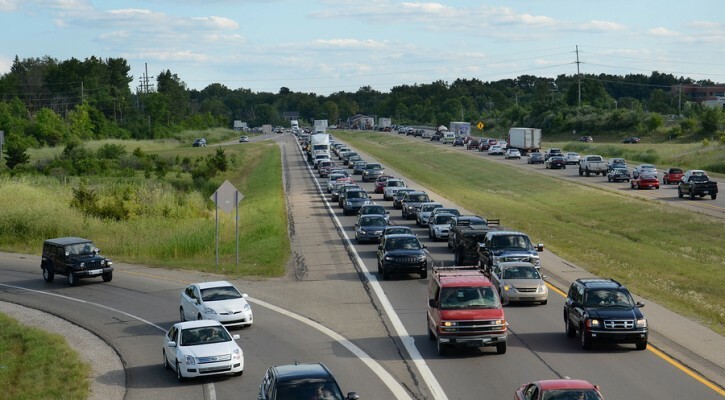 Interstates also require that a driver know how to merge smoothly into traffic and the new driver may be dealing with a lot more traffic than he or she is used to. As far as when to get on the interstate for the first time, the new driver should have a lot of driving experience including driving at higher speeds. After getting experience in driving in heavier traffic, the new driver should first practice on multi-lane highways with speeds above 50 mph. Instead of jumping into city interstate traffic, it’s best to expose the new driver to the interstate in a rural area where traffic may not be so heavy. After getting experience there, the driver can be slowly exposed city traffic. When entering the interstate, it’s important to remember that you need to get up to interstate speeds on the entrance ramp. As you near the end of the ramp, watch for an opening in traffic and then adjust your speed to merge into that opening. Never stop on an entrance ramp unless traffic just won’t give you enough clear space to merge. After merging into traffic, keep at least a two second following distance between you and the vehicle ahead. Once you’re on the interstate, you should practice merging and changing lanes. Remember to stay out of the far left lane unless you’re passing slower traffic. Once you’ve passed, move back into the center or right lane. Pay attention to speed limit signs. 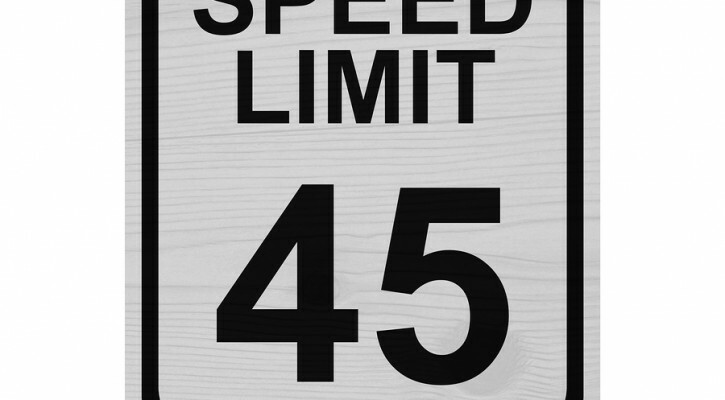 Speeds on rural interstates may be as high as 70 mph but can go down as low as 55 mph when nearing a city. Driving with the flow of traffic doesn’t mean you should go over the speed limit. Driving too fast limits the reaction time you need to make decisions to avoid a crash. If you miss your exit, never try to stop and back up. Go to the next exit and reenter the interstate in the other direction to get back to your exit. When exiting the interstate, get into the correct lane at least one-half a mile before the exit. Don’t slow to exit until you enter the exit ramp. Parents text more than teen drivers according to a newly released study sponsored by Straight Talk’s Safe Driver Initiative. The results of a poll of 1,000 licensed teens conducted by KRC Research revealed, among other things, that thirty-three percent of parents text as compared to twenty-four percent of teens. Almost one-third of respondents admitted that they nearly were in a crash as a result of texting while driving in the past year. 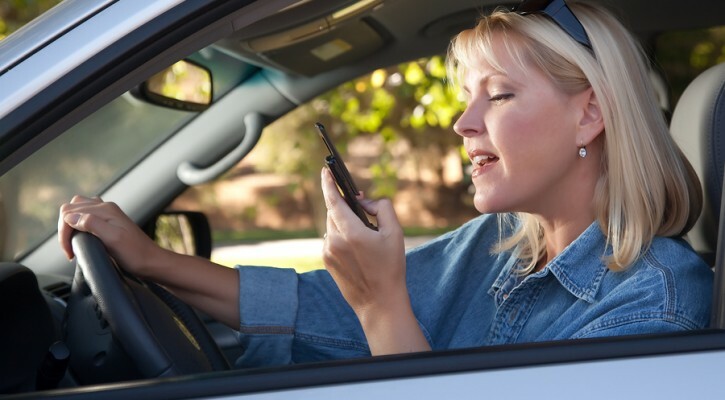 Forty-two percent of respondents said they were more likely to admit to pointing out others texting while driving than were likely to admit doing it themselves. For parents, texting and driving is the third most significant worry behind academic achievement and alcohol and drug use; and 88 percent of parents have had a frank discussion with their teens about texting and driving. More teens have had a frank discussion around texting and driving with their parents (74 percent) than have had discussions about teenage drinking (73 percent), drug use (71 percent), or sexual health (61 percent). We wrote about the “Do as I say, not as I do!” phenomenon as far back as 2007. Teens look to their parents as their biggest influence and, when learning to drive, if they see their parents act in a way that, at the time, seems to have no negative consequences, the teen is more likely to follow that example. Research has shown that more than eighty percent of crashes involved driver distraction within two or three seconds of the crash. If they want their teens to drive safely, parents need to put down the phone and be the role model for safe driving.